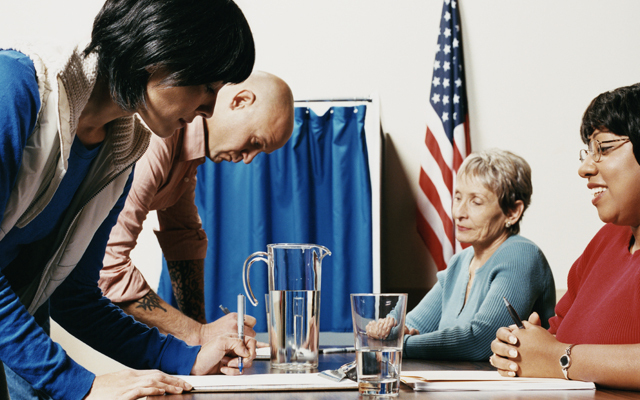 According to Pew Research, more than 25 Million U.S. Latinos are eligible to vote in 2016, 40% higher than in 2008. As in previous elections, persuadable Hispanic voters are in a position to impact the results of who will be the next President of the United States. But who really are these persuadable voters? Having a deeper understanding of this voter pool is essential not just for targeting them, but also for connecting issues with them in a culturally relevant way. The majority, 55%, of Hispanic registered voters 25-54 don’t consider themselves “strong” members of their party or they are independent with no party affiliation. By virtue of being independent, they are available to either party and therefore persuadable. Hispanic Millennials will account for 44% of Hispanic eligible voters, which represent the overarching youth trend of the Hispanic population. As a matter of fact, since the 2012 presidential election, 3.2 million Hispanic youths have advanced to voting age. Hispanic persuadables are mainly concentrated in 8 states representing 68% of all persuadable Hispanic Voters. Not surprisingly, the top three states include California, Texas and Florida. Republican Hispanic voters and Republican persuadable Hispanic voters are more likely to cross over and vote for Democrats. That’s why it’s important to allocate resources to this group as well as to those you know will vote for you. Democratic Party candidates cannot automatically assume this segment is “in the bag” because nearly half of persuadable Democrats and Independents have voted for a Republican in the past. As evidenced above, Hispanic persuadables are mainly concentrated in three major states; California, Texas and Florida, with Florida being one of the super-swing states for 2016. Hispanic persuadable, like other persuadable non-Hispanic Whites, do not have strong affinity with their parties, which is particularly true for Republican Hispanic voters. Florida has always been a strong battle ground state, but in this presidential election, Florida will be an even more competitive state particularly as it pertains to the Hispanic voter. Next PostJust When You Thought You’ve Seen It All!